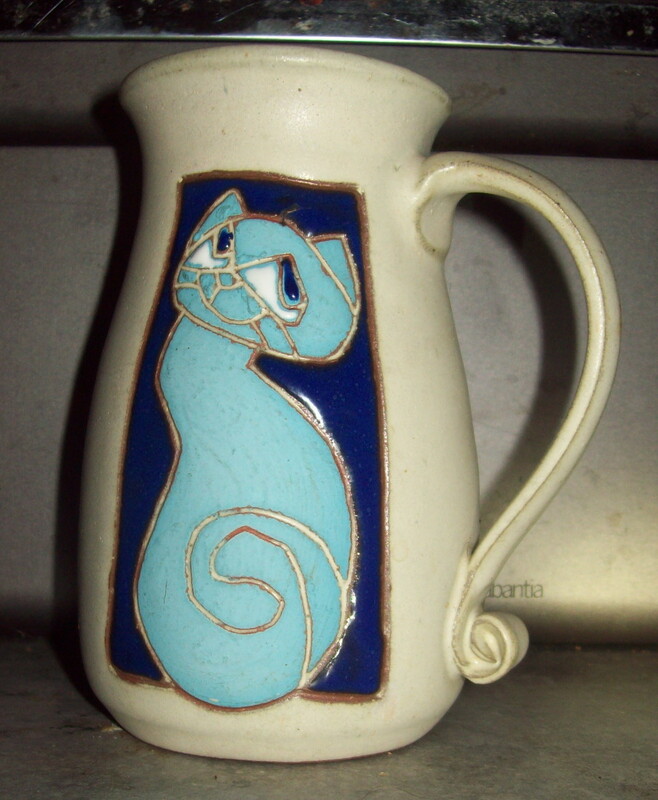 Does anyone know who made this hand-made mug? 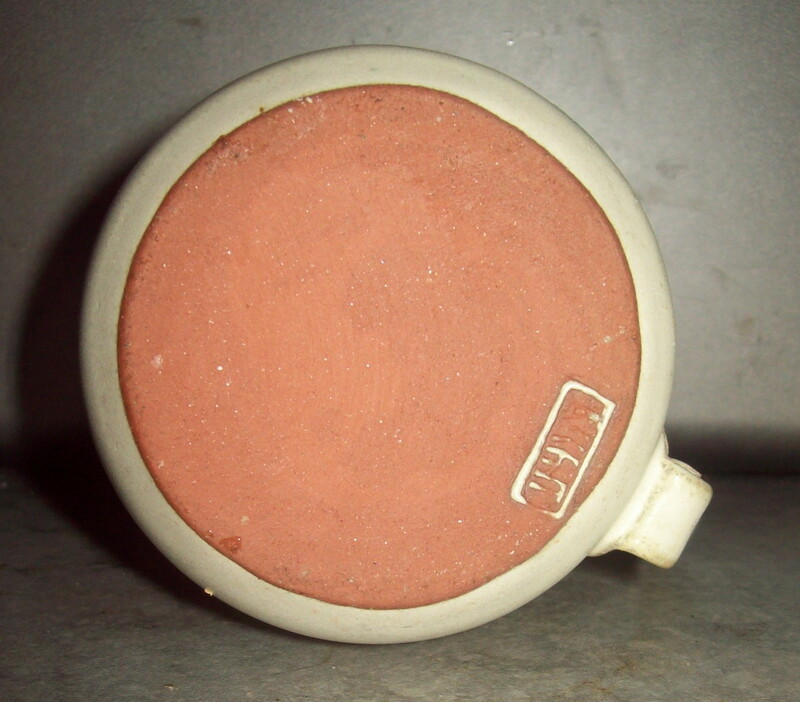 It's an obviously good-quality piece, with a studio stamp on the base, which I can't read. 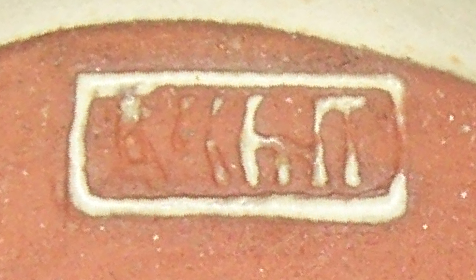 The design has been lightly incised and then the clay pushed up from the grooves to form a slightly raised 3D surface. The handle with the tight curl at the bottom end is reminiscent of Carol Long's work, but I checked and it isn't one of hers. I've a suspicion that the reason I can't read the label is that it's not in Latin characters. It looks as though it could be Greek. Can anyone else read it? That's what I'm wondering, because the last letter could be pi.